In the 1950s and early 1960s, Great South Fishing Industries Ltd was the largest commercial fishing company in Hong Kong. Incorporated in November 1949, the firm was founded and controlled by the family of Guangdong warlord General Chen Chi-tang, which was profiled earlier in the article about Union Metal Works. Operating out of a 4-story building at 224 Gloucester Road in the Wanchai waterfront, Great South had a large fleet of state of art fishing vessels (trawlers), half of which built locally and the other half ordered from Japan and modified for local use. The firm operated until the summer of 1964 when its chairman, the high-profile educator and politician Chan Shu-woon (陳樹桓, 1921-2003) left Hong Kong and its fleet of trawlers was sold at auction. The directors of the firm included Chan Shu-woon, his younger brother Chan Shu-jone, Wong Wing-cheung (黃永祥, the Chinese manager of Philippines Airlines) and manager Wong Lai-yin(黃禮賢). Other executives included manager Fan Kwok-kit (范國傑) and Chung Chau (鍾秋). In 1950, the Annual Departmental Report by the Director of Agriculture, Fisheries & Forestry reported that “the trawler companies have been strengthened by a pair of Japanese trawlers put into commission by the Great South Fishing Co.” and “there has been a very considerable increase in fish collecting vessels” that year. The environment of the HK fishing industry in the early 1950s was difficult. 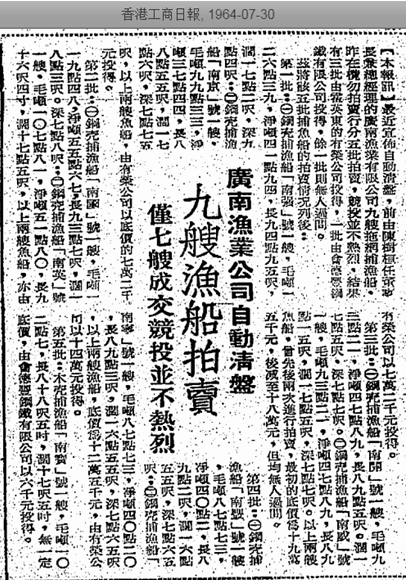 According to reports, the 60,000 fishermen in HK were under significant threat from Japanese competition in 1952 (emergence of local fisheries was another source of competition) and by 1954, six of the seven largest fishing companies were out of business with Great South being the lone survivor thanks to the strong financial backing of the Chan family. To fight the competition, Great South began expanding its fleet by building its own vessels in 1953. 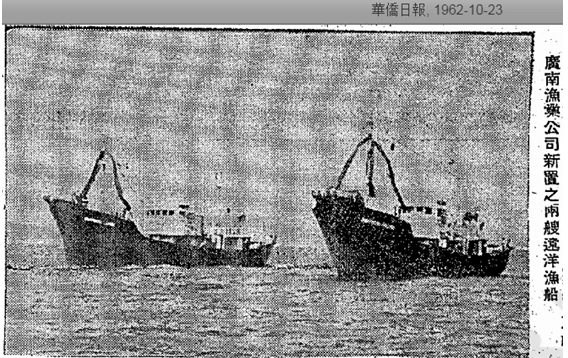 The first trawler to be built –“Southern State” (南國, 119.48 tons, 93.7 feet long), was a conversion of a regular vessel named “Hip Sang” by adding new oil engine and fishing gears and was completed in August 1953 after fifth months of work. The second – “Southern Strong” (南强, 126.39 tons, 94.95 feet long) was completed in May 1954 after seven months of work and according to Great South was the first metal trawler built in HK. In August 1954, Great South launched its third vessel (fifth in its fleet) –“Southern Capital” or “Nanking” (南京, 99.33 tons, 88.55 feet long equipped with 225hp oil engine) in a big ceremony attended by over 200 guests includingsenior government officials such as the heads of the fisheries and marine departments and the taipans of Citibank, Texaco and Shell with Mrs. P.T. 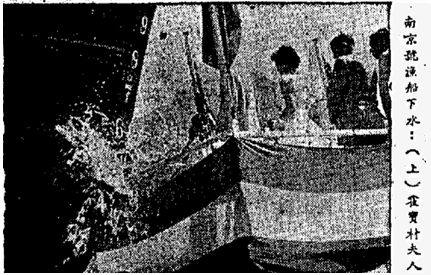 Huo (霍寶材夫人), the wife of the head of Bank of Canton christening the ship by smashing a bottle of champagne over its bow. According to Chan Shu-woon’s speech at the event, the monthly fishing capacity of Great South at that point exceeded 500,000 catties with its fleet of five, which could meet a good portion of the monthly demand of several million catties for the entire colony and he did not care about the profitability of the venture as he considered fishing as an important service to the society. In the early 1960s, Great South changed its strategy and switched back to buying trawlers from Japan due to its lower costs and better technology. In 1960,Great South ordered two state-of-the-art vessels from Japan and modified them in HK to meet HK government standards with the assistance of several local shipyards such as Hip Hing Cheung and Tam Fai Kee. The two trawlers were named“Southern Peace” (南寧, 87.73 tons, 89.3 feet long) and “Southern Prosperity” (南豐, 87.73 tons, 89.2 feet long)and both were equipped with the latest fish detection and ship positioning equipment and could hold 100,000 catties of fish for each trip. In 1962, Great South bought two 274 horsepower vessels (shown above) from Japan which they named“Southern Glory”(南威, 93.21 tons, 89.21 feet long)and“Nankai” (南开, 93.21 tons, 89.5 feet long). According to Chan Shu-woon, the total cost of buying the trawlers from Japan plus retrofitting them in HK to meet HK standards was HK$800,000, which would have cost over HK$2 million had he tried to build them from scratch in Hong Kong. Chan also credited the Department of Fisheries in HK for their assistance in making these purchases. 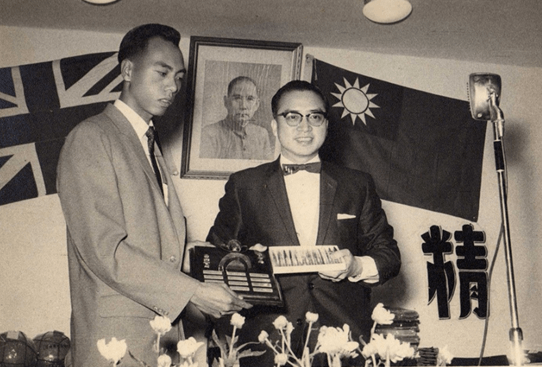 The Great South fishing empire came to a screeching halt in 1964 when Chan Shu-woon was forced to leave town, allegedly due to political pressure. Shortly afterwards, Great South Fishing went into liquidation mode and an auction of its remaining 9 vessels was held at Lammert Brothers in July of the same year. Six of them (“Southern Prosperity” and “Southern Peace” for combined $140,000, “Southern Capital” and “Southern Strong” for combined $72000, “Southern Hero“(南英, 107.8 tons, 96.4 feet long)and “Southern State” for combined $72000) were acquired by Henry Fok’sYau Wing Co which was somewhat ironic given Fok’s pro-Beijing stand vs. the Chan family’s pro-Taipei stand. One of the vessels(“Southern Treasure”南寶 – 102.7 tons, 88 feet long) was acquired by HK Rolling Mills (會德豐鋼鐵,see article on the Song brothers of Wheelock Marden) for $6000 while two of the vessels – “Southern Glory” and “Nankai” remained unsold despite being the newest and asking price having been lowered from HK$195,000 to HK$180,000. As a firm, Great South Fishing Industries was not dissolved until 2005, 2 years after Chan Shu-woon’s death. This article was first posted on 13th August 2018.